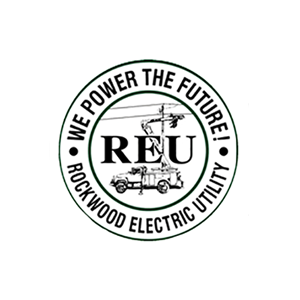 On behalf of the Board of Directors and the employees of Rockwood Electric Utility, I would like to thank our customers and the communities we serve for recognizing our commitment to providing safe reliable power and other services. ARE YOU EXPERIENCING A POWER OUTAGE? SUBMIT AN OUTAGE REPORT ONLINE. Easy, Simple & Convenient online payment portal. Never miss another payment, enroll in automatic bill pay! Moving? No problem, click here to complete our new service request form and we will have you set up in no time. Whether changing locations or opening a new business, REU has you covered. Enroll today for commercial electric service. Preparation & Planning keeps our linemen ready to deploy at a moments notice. Design and refine- this step allows us to create a reliable, scalable infastructure. We Work every day constructing the road to reliability that keeps our future bright.